Years ago in Mississippi where I grew up, I heard a story about the backwoods fellow who had just been hired at his local post office. 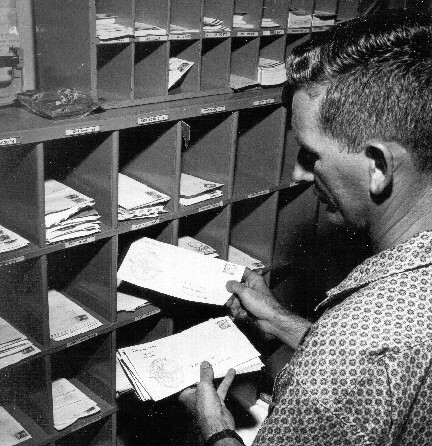 His first day on the job the postmaster saw the man sorting letters and parcels into alphabetical slots at blistering speed. As the postmaster watched the mail seemed to fly from his new employee’s hands. Amazed, the boss complimented the worker on his remarkable sorting prowess. It’s an old joke, of course, but there is a tinge of reality in it. It is easy to be fast and decisive if you do not have to balance it with accuracy. And it reminds me of what I wish my politicians would learn from business people. I do not think corporate executives automatically make good politicians. In fact, when I hear corporate leaders promote their business experience as they campaign for political office, I am skeptical. Running a government is quite different from running a company or deploying a product. In a business a good manager constantly redeploys resources from under-performing assets and moves them to higher return activities; they target the most efficient processes and most profitable customers. In a modern democracy, however, we expect the government to attempt to provide a basic set of rights and services to every citizen, something that is difficult, inefficient, and expensive, but fundamental to our social contract. Yet commercial experience does promote one skill policymakers from both parties desperately require: the ability to understand and balance competing principles and facts. Each time a price is lowered a businessperson makes a calculation that he can acquire enough new customers to offset the loss of profit from the unit price reduction. He asks the question, what am I putting at risk with this price action and is it wise? Whenever a businessperson invests in a new product or service she balances the potential return on that investment against other opportunities which remain unfunded because of it. She asks, what am I putting at risk in making this investment and is it wise? Business people learn to balance the real world priorities of shareholders, employees and customers, recognizing that each affects the others. In contrast we too often hear politicians venerate their principles as if they are religious absolutes existing independent of worldly contamination or contradiction. Principles should mark the beginning, not the end of debate and should never be used to justify concluding consideration when their proper role is to enable it in the first place. In reality political values are a set of propositions that help us work through the grubby process of governance and citizenship. Often those propositions compete: security vs. liberty, personal freedom vs. common good, justice vs. mercy, market forces vs. regulatory oversight, and so on. These principles are not necessarily contradictions, but they are contestants for citizen attention at every given decision. It is not up to government to resolve them but rather to balance them over time and trust that successor generations will attend to the same. It is why we need leaders who are thoughtful and willing to compromise. In fact, it is why we need flesh and blood representatives at all: not because new problems keep popping up but because old problems are never truly solved, they are merely recalibrated to the demands of the current age. Every businessperson learns this; few politicians appear to have. To the extent that a politician hides behind principle to forego real debate and genuine consideration of opposing views, we become, in Whitman’s words “large masses of men following the lead of those who do not believe in men.” For to eschew compromise solely on the basis of principle alone is not to trust the judgment of men to think, to consider, and to balance the competing imperatives of their age. A strict adherence to ideology based on principle alone, destroys compromise which is the very foundation of our democracy and society. The lost art of compromise in American politics signals our demise and by definition impedes everyone’s right to life, liberty and pursuit of happiness. Not sure…I do agree many politician’s are often too single minded. But Neville Chamberlain tried to compromise with Hitler (and many world leaders at the time shared that view) with disastrous consequences. Churchill wanted none of it. No compromise and no negotiation, just fight them on the beaches. What I find hard is knowing when to compromise and when not to. It’s easy looking back on the situation Churchill faced and saying now he did the right thing, but very few people supported his steadfast views at the time. Very good point, Shaun; my view is not so much that compromise is automatically or necessarily good…but rather the willingness to entertain compromise is critical to a functioning government. A compromise may end up being a bad choice in some case, or at least as bad as unyielding fidelity to a single principle is in other cases. The critical point is that we remain willing and able to entertain holding two thoughts in our minds at the same time and be willing to judge and balance them. Chamberlain made a bad decision but it is rare that our choices are between fascism or democracy. More often they are between profit vs. growth in business, or freedom vs. responsibility in government…things that must be balanced rather than pitted against each other.